Chae Ji-ae doesn’t fit the typical image of haenyeo, the famous diving women of Jeju. While most haenyeo are elderly women, Chae, a former hairdresser who moved from Seoul to Jeju to become a diver, is but a young woman. She represents a new generation of haenyeo. 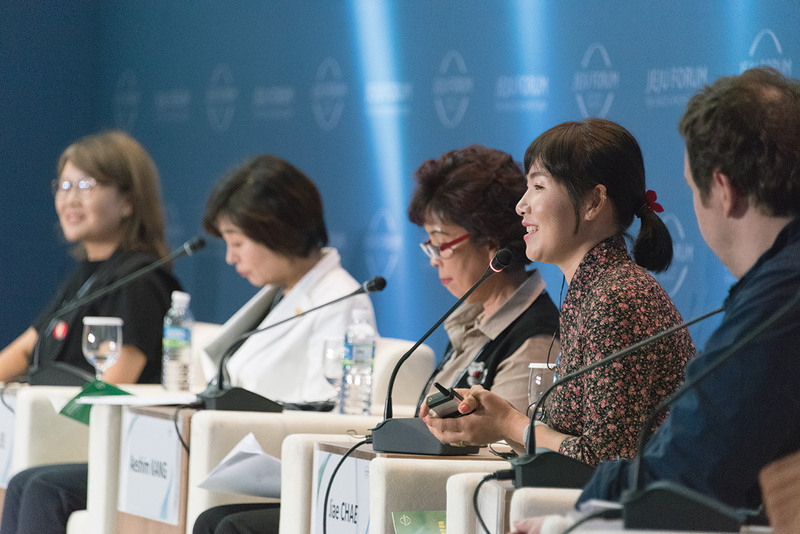 Speaking as a panelist at a special session of the Jeju Forum for Peace and Prosperity 2017 entitled, “From Babies to Grannies of the Sea: Global Promotion and Sustainability of Jeju Haenyeo,” Chae revealed the lessons she learned from the sea. 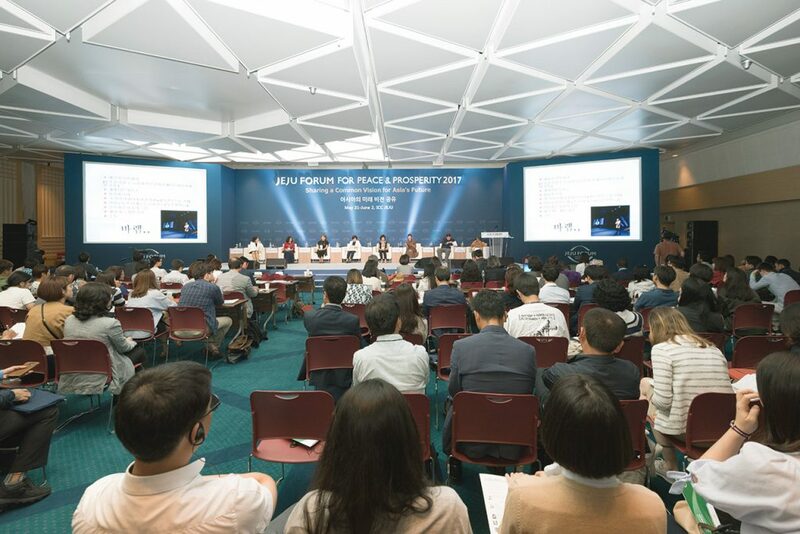 The Jeju Forum for Peace and Prosperity 2017 marked the 12th year for the event, held annually to promote peace in Asia. Over 5,500 leaders and experts from 80 countries gathered at the International Convention Center Jeju from May 31 to June 2 to discuss this year’s theme of “Sharing a Common Vision for Asia’s Future.” While the forum’s 75 sessions covered a wide range of global political, environmental and humanitarian issues, it also placed a special focus on the local and cultural, with particular focus on Jeju’s haenyeo, who were registered on UNESCO’s list of Intangible Cultural Heritage in December 2016. The Jeju Forum’s session on Jeju’s haenyeo tradition was an undeniable highlight of the forum. 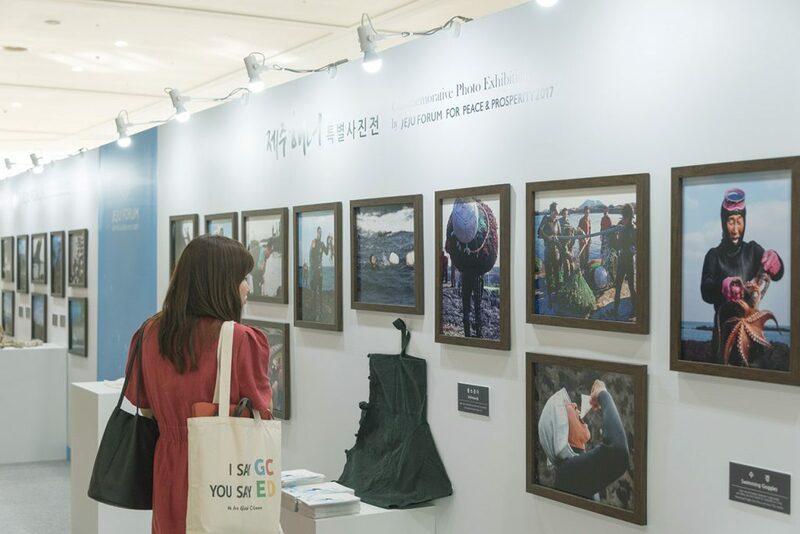 An exhibit of photographs and a display of equipment used by haenyeo gave attendees a closer look at the lives of the diving women. 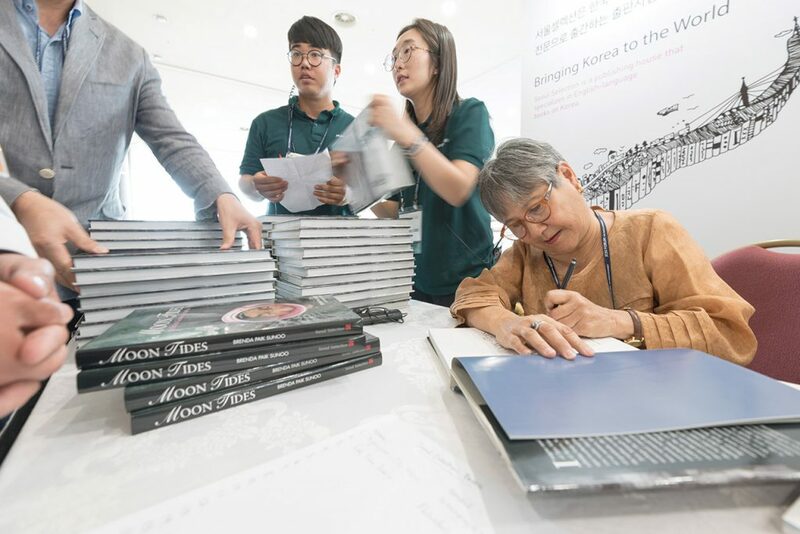 Brenda Paik Sunoo, writer and photographer of the book, “Moon Tides: Jeju Island Grannies of the Sea,” held a book-signing event, too. Haenyeo came to global attention after being registered with UNESCO at the end of last year. The community of diving women, who hold their breaths for minutes at a time as they search the ocean floor for abalone and other shellfish, has contributed to advancing the status of women in Jeju. They’ve also promoted environmental sustainability with their eco-friendly harvesting methods and community management of fisheries. Unfortunately, age and the lure of other economic activities has made the haenyeo lifestyle increasingly rare. Today, there are only 2,500 truly active divers, most of whom are elderly. 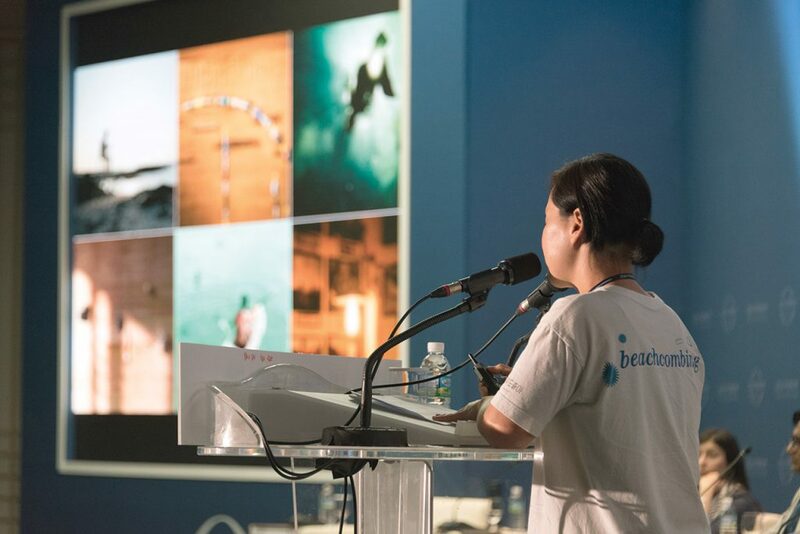 The haenyeo session urged the public to take action to sustain the community of diving women, a vulnerable yet precious treasure. Lee Sun-hwa, a member of the Jeju Special Self-Governing Provincial Council, explained the haenyeo’s irreplaceable value. “The UNESCO recognition restored the haenyeo’s dignity,” she said. “The true benefit was not necessarily economic for the haenyeo, but that they became an icon for a new kind of feminism.” She said that though life as a haenyeo was considered shameful in the past, UNESCO recognition has given them pride in their work and that of their mothers and grandmothers. After the session, the attendees and panel speakers gathered for a brief tour of the Beobhwan Haenyeo School, guided by its director, Kang Ae-shim. Kang showed participants around the school, discussing its history. 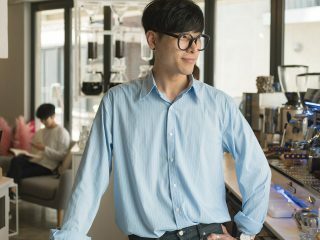 The school has trained over 9,500 students from Jeju and beyond. One session dealt specifically with the issue of North Korean human rights. Participants stressed that without improvements in North Korea’s human rights situation, substantive peace and prosperity might prove elusive. 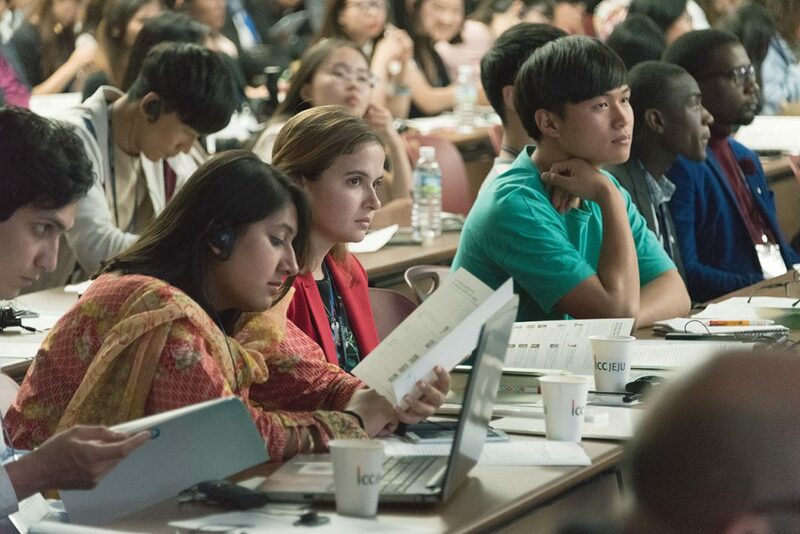 In the youth session, many international leaders gathered to discuss the role of youth as a driving force in bringing positive changes in the world. While participants recognized the vulnerability of the youth, they also emphasized the need to protect and nurture them. Puan Maharani, Coordinating Minister for Human Development and Culture of Indonesia, said the government must develop education and create the right environment to protect their rights. She also noted how development of communication technology today has created an environment in which young people can voice their opinions and influence government policies. Umair Mushtaq, Communication Manager of Pakistan’s Little Art youth arts program, explained that art develops the potential of the youth and deepens the understanding of the value of peace. Speakers also underscored the importance of intergenerational communication, cooperation and unity in fostering the youth. Shin Hwajeong, Representative of social enterprise Jejudo Joa, which works with artists to create art using the garbage that washes up on Jeju’s beaches, said her work was a great example of the Jeju community working together to educate and bring change. 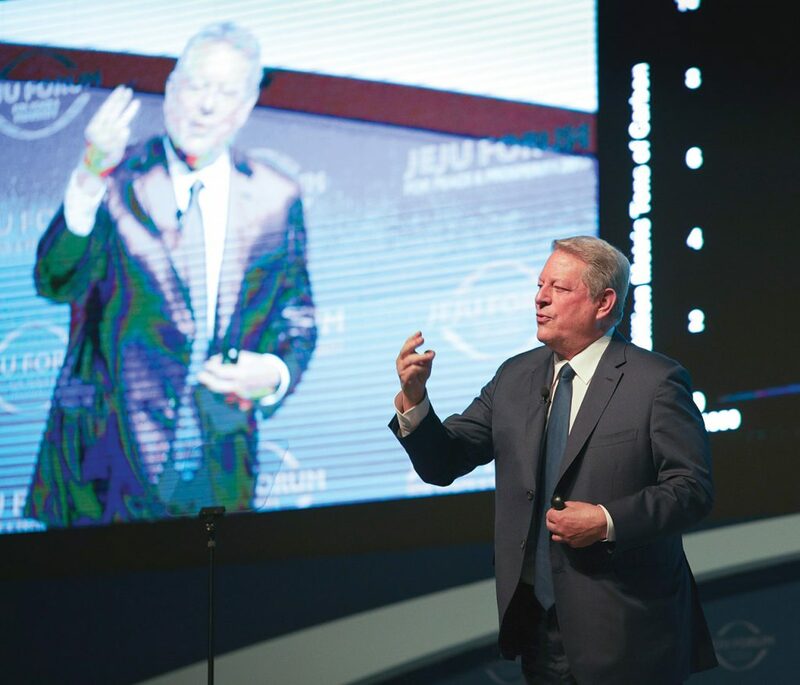 Both the nurturing of the young and honoring of the old are necessary to propel the forum’s vision, particularly in Jeju, she said.